The forward spent six years at the Scottish side before leaving on a free transfer in 2014 and becomes the Baggies ninth signing of the summer. West Brom manager Alan Irvine was evidently happy to get the Greek international on board, after being linked with a move for the last few days. "We've signed a player with vast experience and I'm delighted to welcome yourself to the club," the Baggies head coach told the club website. "He has played a lot of football at the highest levels - Champions League, European Championships and World Cups - and the feedback we've got on him, from people like Neil Lennon, states he thrives on the big occasion. He will certainly play in plenty of Those in the Premier League. 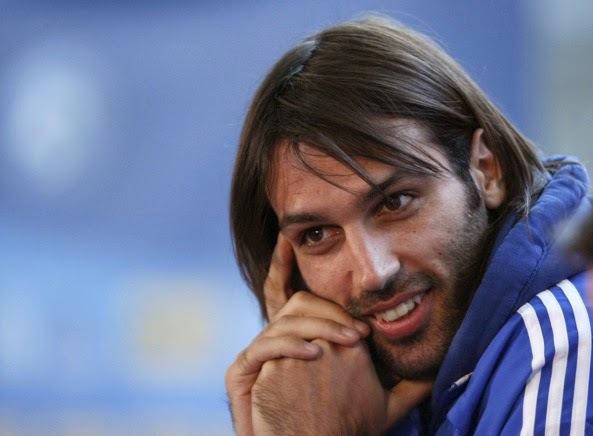 "Georgios has played in big games for a Celtic team that have often had a lot of the ball and have had to work hard to break the opposition down but he has also shown another side to his game in other matches when they have not seen as much of the ball. "We have now got four strikers with different qualities who can be used in different ways. That's great for us, Because we need to have flexibility, the option to approach games in different ways and cover for injuries. I'm absolutely delighted with the four strikers we have. " Samaras will compete for a starting birth for Ideye Brown, Victor Anichebe and Saido Berahino, who scored twice in the 2-2 draw with Sunderland last Saturday.